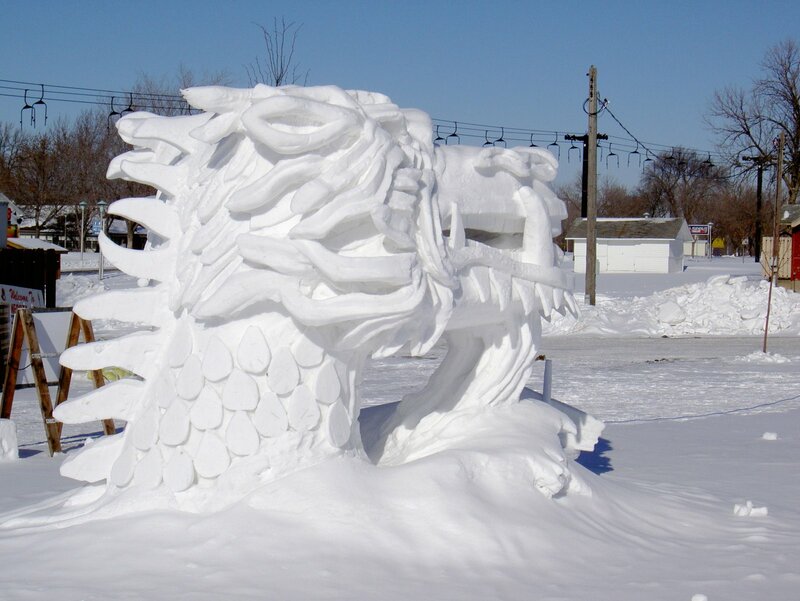 10 Amazing Snow Dragons that will blow your mind! 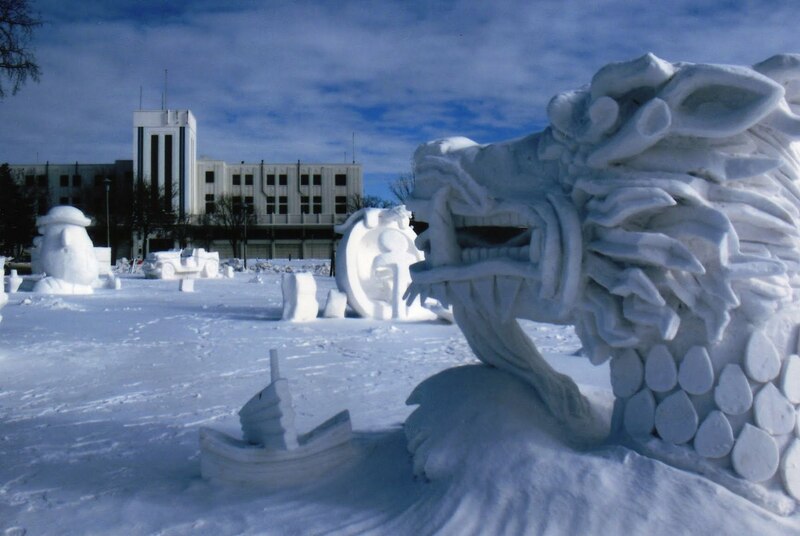 I hugely admire people who make snow sculptures, working in freezing weather with freezing materials! I wonder if they get frost bite? Well they say you have to suffer for your art! They also have to cope with rises in temperature melting their beautiful snow creations that are only temporary. It must be sad to see them melt. As usual this is a list not a ‘Top 10.’ It’s just not fair to compare. 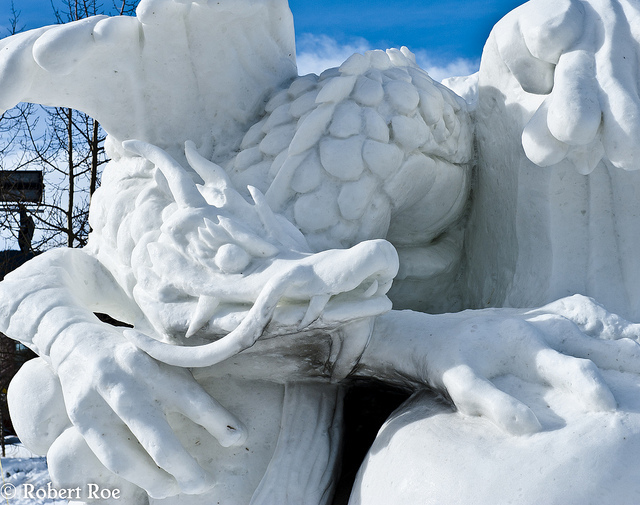 Made by Robert Roe at the Budweiser International Snow Sculpture Championship 2012 in Breckenridge, CO, via mind-bender3 on Flickr. Sea Dragon, its head emerging from beneath a wave targeting a ship! 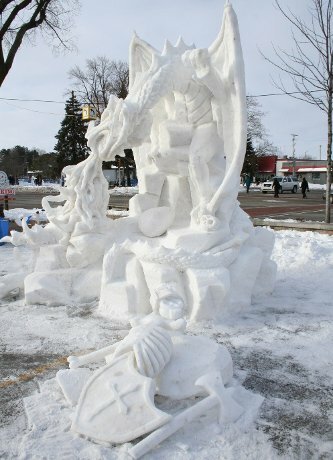 From Minnesota’s Winter Carnival, third prize winner in the snow sculpture contest. Artist unknown. Photo by joyphotos from Panoramio. 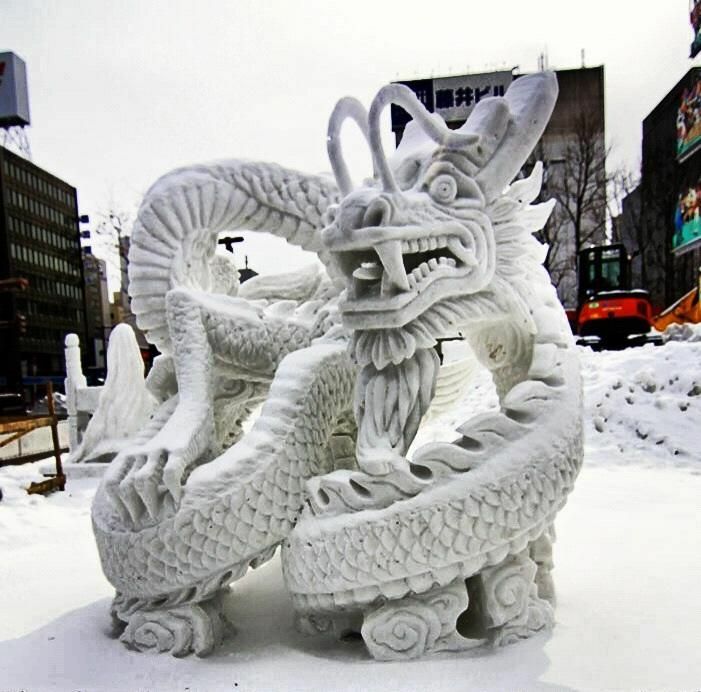 A snow dragon from the UK. This one is very cartoony and fun. Spencer Gisbourne created this snow dragon for his six-year-old son, in Clipstone, Nottinghamshire, muct to the delight of his neighbors! It took him days to make in sub-zero temperatures. It is huge (see car for scale). 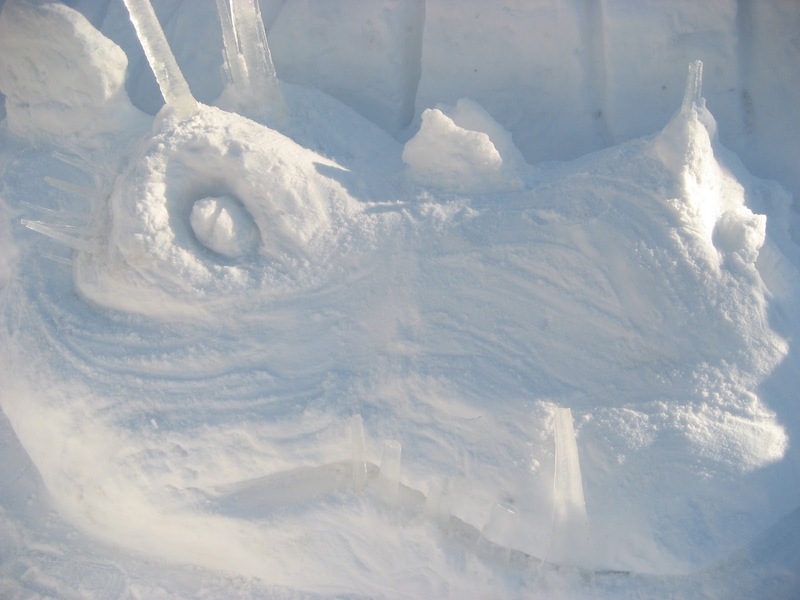 ‘Dragon’s Den’ built by a team of 3 engineers, Ryan Olszowy, Max and Luke Dehtiar beat professional snow artists in the 2009 US Nationals Snow Sculpting Competition. They had to rebuild it 3 times due to the temperature rising causing the sculptures to melt! 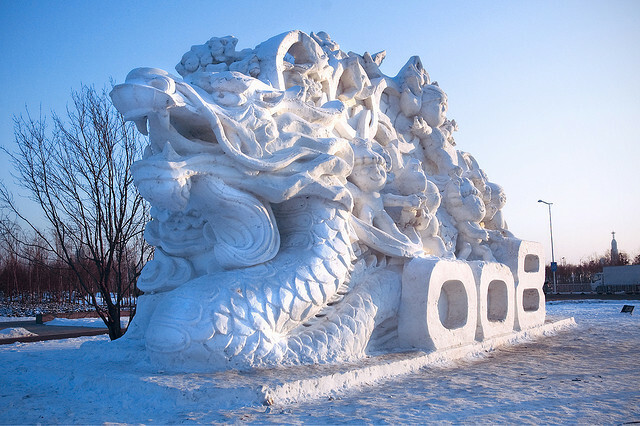 Enormous snow dragon at the International Snow Sculpture Art Expo at Sun Island, China. 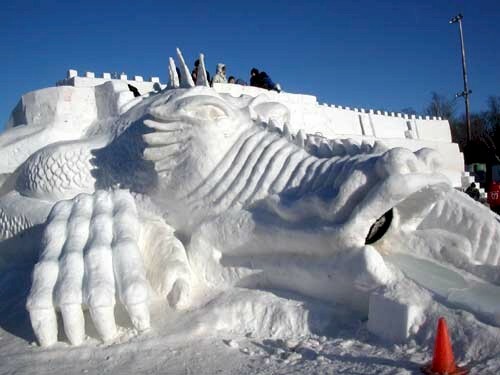 A giant snow sculpture of a Dragon at the Snow festival in Harbin, China, 2008. From Lawrence Everson on Flickr. 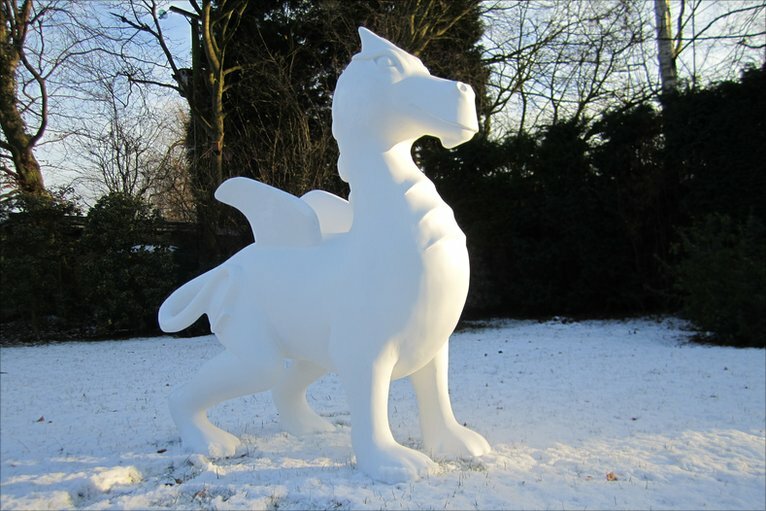 Snow Dragon by Mitch Law in his back garden in Manchester (2010). Small and cute it is extremely smooth and pristine-looking. 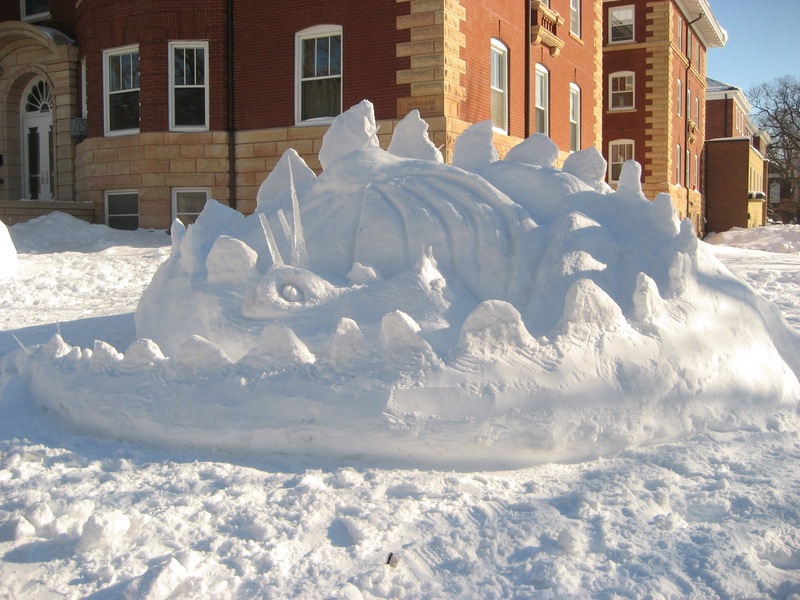 Snow Dragon made by Chuck (of Chuck Does Art) and his friends at collage. The great thing about this is you can see the entire building process in his blog. 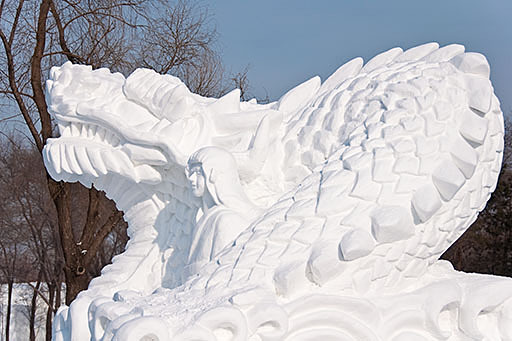 I hope you enjoyed looking at these amazing snow dragons. Which was your favorite?